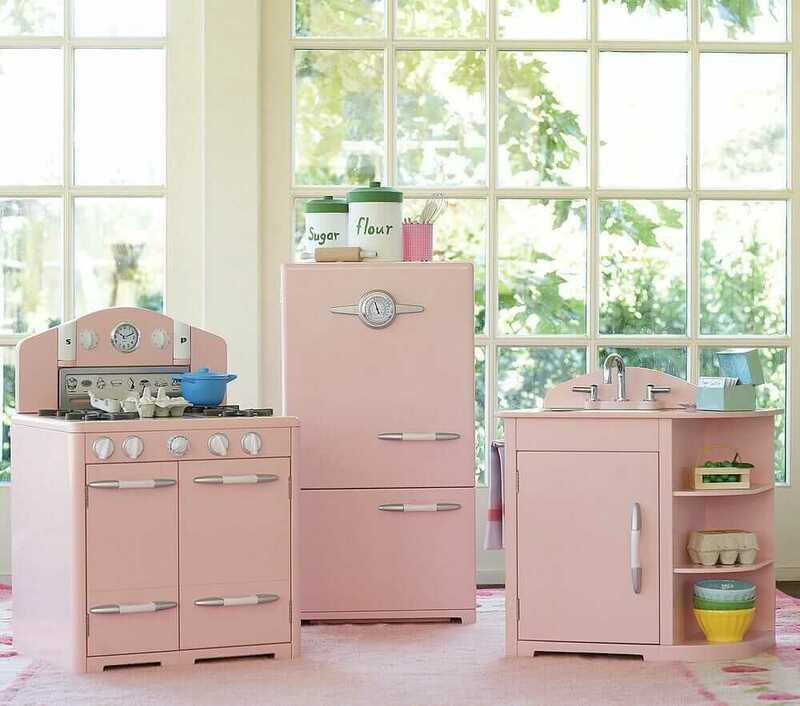 Pam showed me this pink kitchen set from Pottery Barn and at first glance I was excited, surprised really, that you could it all new for only for $500. And then I looked at the header and realized it was Pottery Barn Kids and they are toys…duh Matt. Anyways, I love that little kids out are able to appreciate their retro kitchen set at at young age, so they’re not gutting such beauties when they have a real kitchen. Check out Pottery Barn Kids for more images/ information. Oh, speaking of pink bathrooms, there are lots of pink bathrooms in our Pink Bathrooms archive. And, don’t forget to visit Save The Pink Bathrooms to make your pledge. My sister received a pink metal kitchen set for Christmas one year, probably around 1962. I wasn’t jealous because I was graduating to Barbies. We spent hours playing with that kitchen. But it evolved into a place to hide things from each other and our brother — army men in the fridge!